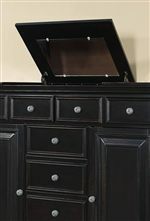 This nine drawer dresser is a must have for any transitional master bedroom. Accented with turned and fluted posts this piece also features framed panels to add traditional design influence. 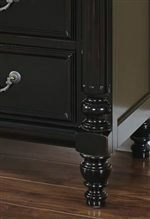 Constructed using select veneers and hardwood solids this piece carries a rubbed black finish that will lend a timeworn whisper of the islands. 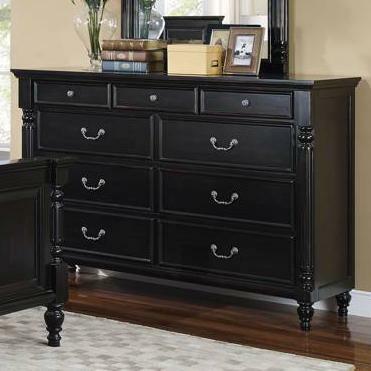 Create a tranquil place to relax by making this dresser a piece of your homes decor. The Martinique Bedroom Transitional 9 Drawer Dresser by New Classic at Michael's Furniture Warehouse in the San Fernando & Los Angeles area. Product availability may vary. Contact us for the most current availability on this product. Drawer / Shelf Construction 100% Wooden Drawers; 5 piece drawer boxes with 4 corner dovetail and finished interiors. Felt lined top drawers in dresser and chest. The Martinique Bedroom collection is a great option if you are looking for Transitional furniture in the San Fernando & Los Angeles area. 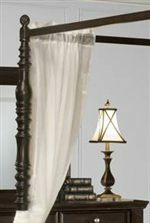 Browse other items in the Martinique Bedroom collection from Michael's Furniture Warehouse in the San Fernando & Los Angeles area.